The Sparkle WCRD-240 has been designed to suit contemporary or traditional bathrooms. 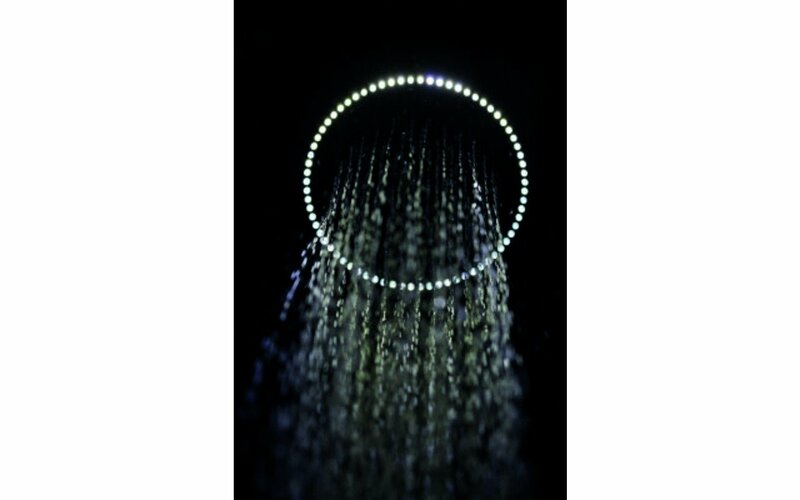 At 9.45 inches in diameter, this is a prime-sized shower system, which is ceiling-mounted including white colored LED lights. The Sparkle is connected to a remote panel allowing for easy access to switch the lights on and off. 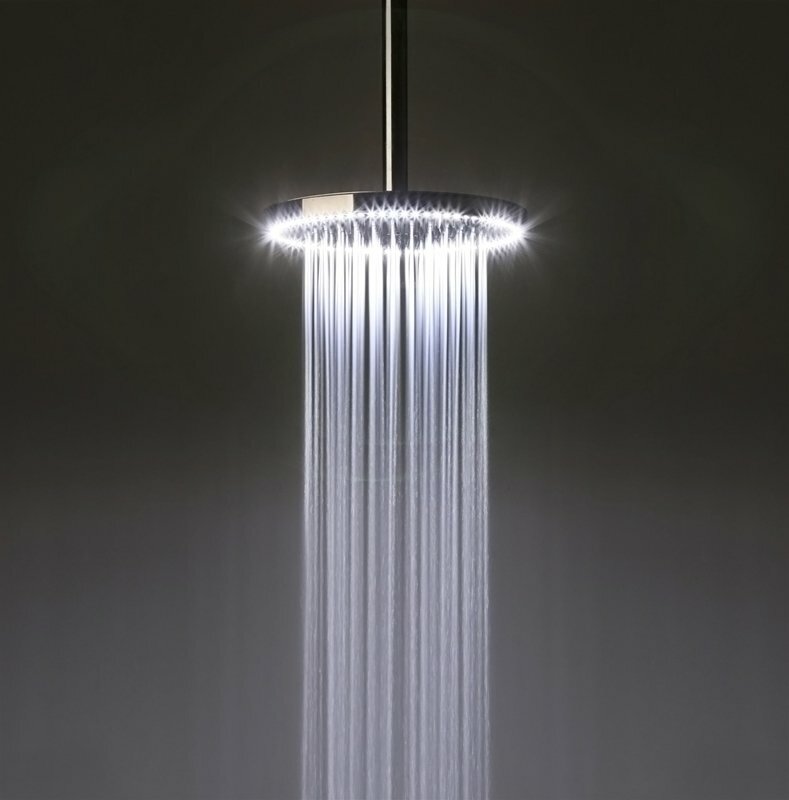 This showerhead also comes with an anti-lime nozzle, a 12V power supply for its LED system and a 5 year warranty. This Aquatica Ceiling Mounted Shower Arm has been constructed for the idealist who seeks elegance in design. 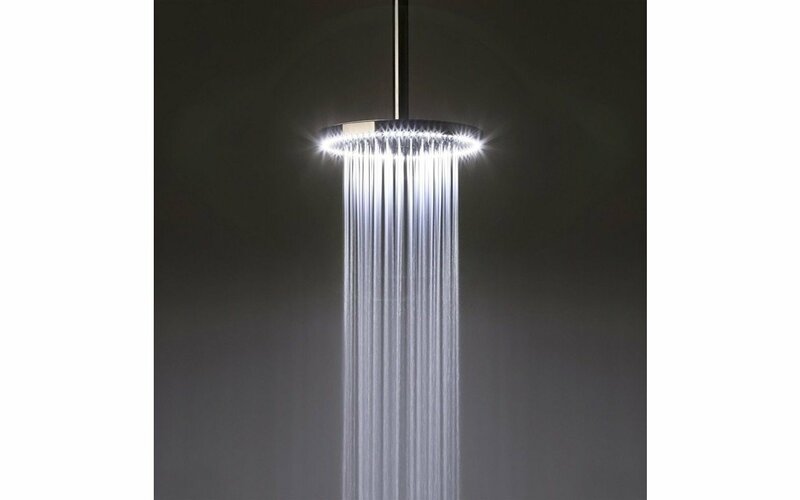 Modern and sleek, this shower arm has a 5-year warranty and guarantees showerhead durability due to its integrated water filter, which also features a cover plate with a bracket kit and filter.